What does it mean to be and to become an American citizen? What combination of political principles, cultural identity, and historical experience does and should constitute U.S. citizenship? This seminar explores the meaning of citizenship and nationhood in different historical contexts, amidst competing constitutional interpretations, and at the center of contemporary policy debates. The seminar begins by examining the debates at the nation’s founding over diversity and homogeneity and asks whether and how the bonds of citizenship can be maintained while remaining open and flexible. The seminar then explores the ways in which immigration and other forces have shaped the nature of citizenship and, in turn, been shaped by constitutional interpretation and American history. We conclude by focusing on recent policy debates as lenses through which to assess the meaning of citizenship in a more global and mobile world. The class will be taught in a seminar-style with active discussion based on close readings. 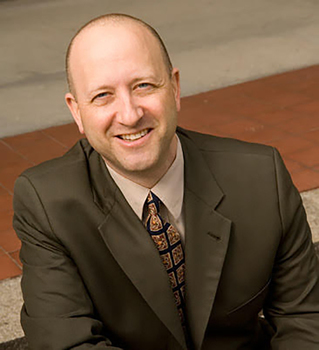 Noah Pickus is Associate Provost and Senior Advisor to the Provost at Duke University, Dean of Undergraduate Curricular Affairs and Faculty Development at Duke Kunshan University (DKU), and Associate Research Professor of Public Policy at the Sanford School of Public Policy. At Duke, he focuses on strategic planning, learning innovation, and policy engagement and co-authored Duke’s new Strategic Plan: Together Duke. At DKU, he led the design of an innovative, interdisciplinary, and problem-based undergraduate curriculum and is responsible for hiring a new faculty, implementing the curriculum, and developing innovative pedagogical approaches. Pickus was previously the Nannerl O. Keohane Director of the Kenan Institute for Ethics (KIE) at Duke University, where he established the institute as a signature university-wide program and oversaw its expansion in research, policy engagement, and high impact undergraduate programming. Prior to joining the Kenan Institute for Ethics, he was the founding director of the Institute for Emerging Issuesunder former Governor James B. Hunt Jr. at NC State University, a university-based entrepreneurial venture in shaping public debate, public policy, and institutional practices. An American Council on Education Fellow at Franklin & Marshall College, Pickus is currently a lead curriculum designer and faculty member at the Arizona State University-Georgetown University Academy for Innovation in Higher Education Leadership. He co-directed the Brookings-Duke Immigration Policy Roundtable and is the author of True Faith and Allegiance: Immigration and American Civic Nationalism (Princeton University Press) and Immigration and Citizenship in the 21st Century (Rowman & Littlefield), as well as essays on ethics and public affairs education. Pickus is an author of multiple policy reports including Liberal Arts and Sciences Innovation in China: Six Recommendations to Shape the Future (Center for International Higher Education, 2017); Breaking the Immigration Stalemate: From Deep Disagreements to Constructive Proposals (Brookings/Duke, 2009); Jump-Starting Innovation: 10 Principles to Guide the New Economy (The Institute for Emerging Issues, 2003); Biotechnology and Humanity at the Crossroads of a New Era (The Institute for Emerging Issues, 2002); and Becoming American/America Becoming: Final Report of the Duke University Workshop on Immigration and Citizenship (Sanford Institute of Public Policy, 1998). He teaches courses on citizenship and globalization, innovation and higher education, and ethics and vocation. He has previously taught at Middlebury College as well as in China and Israel. Pickus has held fellowships from the Thomas J. Watson Foundation, the A.W. Mellon Foundation, and the H.B. Earhart Foundation. A native Californian, he is a triathlete and faculty advisor for the Duke Triathlon Club. He is president of Beth El Synagogue in Durham, NC. Pickus earned a bachelor’s degree in the College of Social Studies at Wesleyan University and a doctorate in politics from Princeton University.